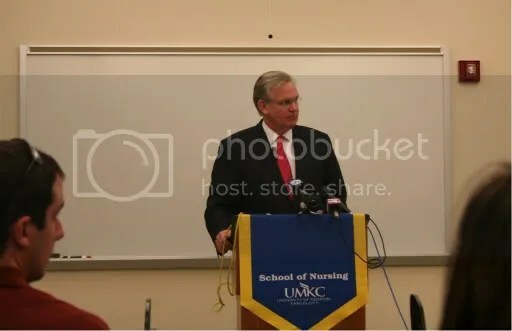 Missouri Governor Jay Nixon (D) at the School of Nursing at the University of Missouri – Kansas City. 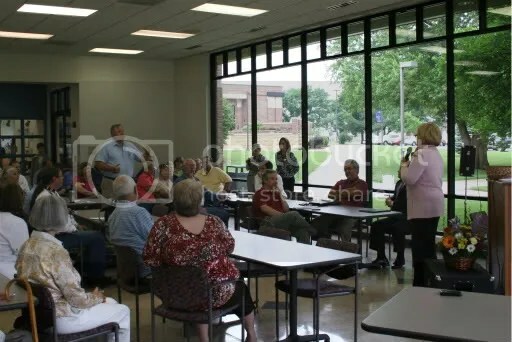 …Governor Jay Nixon: …That being said, I’ll take your questions, the press [garbled]. 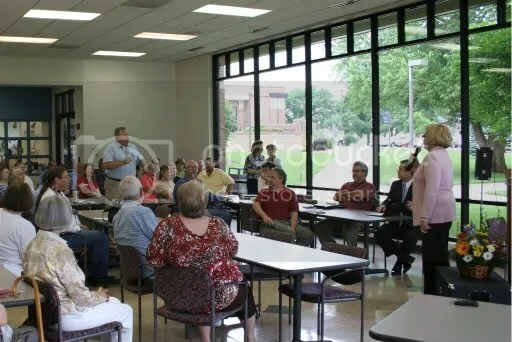 Michael Mahoney, KMBC: Governor, one of the big problems you’re not addressing with this is the fact that in many small Missouri towns, as you well know, hospitals are probably the main employer and they don’t have the resources to hire anybody else. Nurses, doctors, or anything. How do you address that? Governor Nixon: …obviously this year I would have wished that the, that the legislature would have gone ahead with our expansion of health care that we laid out at no cost to Missouri taxpayers that would have put a hundred fifty million in additional dollars in. …Sure we need to do more for health care. But if we don’t have the basic backbone of professional services, trained workers, we will never be able to, to move forward in health care. And making sure we have this base done now is vitally important. I also think, not only at the state level, our efforts in health care are far from complete, but also at the national level. We sit here today on the precipice of a national debate about where we’re goin’ on health care. That is clearly gonna move this state and this country forward. Wherever that process ends in the coming months in Washington it will clearly expand access to health care, provide additional resources. We want to be the best positioned state in the country to have trained workers to provide those services. This provision will help us do that. Michael Mahoney: Does this legislation have, have any requirement that the nurses, the dentists, the dental hygienists, all these people that are gonna benefit from the, this program will have to stay in Missouri and begin their, at least begin their careers here? Governor Nixon: No, it doesn’t. We, we want Missouri, we would like for ’em to, and every student I’ve seen here, as I’ve shook their hand, most of them who’ve been traveling with me here today, I’ve asked them to, to make sure and stay in Missouri if they can. But, ultimately, I think what we want is a, is a, is a magnet for education here. I mean, we’re talkin’ about building excellence. I mean, I don’t think we should be afraid to have students coming in from other parts of the country. To come and get the best education they can get in America right here in Kansas City. So, this is not merely a, a program to just solve Missouri’s needs this is a, this is a definition of excellence that, that we want to have so that those, the higher education, especially in the health care area here at UMKC begins to get in broader recognition across the country as to the quality of that. That will help the Chancellor, Deans, and others attract other private funding, attract other ways that we can, we can move this forward. And so consequently, no, there is not a requirement that, that this be one for one right into our communities. We obviously, there’s a much better chance folks that come to school here working in Missouri than there are if they’re in school in Colorado or in California or somewhere else. Clearly. But as far as requiring it, requiring to do it, no, we didn’t. I think our goal here is to raise the bar, to, to shine this, this apple, not, not merely to, to service just the State of Missouri. Question: Are there any incentives to going to work in these rural places? That’s part of the problem, too, is, is you graduate and you want to go to Chicago, you want to go to St. Louis. People don’t want to go to these places. Governor Nixon: Well one of the things that the institutions are helping us on is outreach into these communities for students. And I thought it was interesting to hear, hear the Dean talk about this. I mean, these students that they’re turning away come from Missouri towns. I mean, when you, when you, you’re much more likely to go back to your area. All the studies clearly show if someone is, is from Sedalia or Warrensburg or Joplin they’re much more likely to go back to those communities to practice or to work. And so recruiting, and that’s one of the things they’ve committed in this program, the university system, as well as our two year and four year institutions, is to beef up their recruitment of their students where the need is the greatest. That will increase the likelihood, plus we’re gonna work on the back side with those communities, to put programs together for loan forgiveness, for assisting them in, in transitioning to a professional career. Those projects are not done yet, but when we beef up the education part of this and we recruit heavily students from those areas we are convinced that that will help us on the back side getting much higher percentage of those students returning to those communities where they’re needed. Question: The money that’s appropriated, to these different schools, is that gonna go strictly for facilities and classrooms, or is there gonna be any money available for scholarships or anything like that for students? e connector in our economy, between education, especially higher education, and our economy. 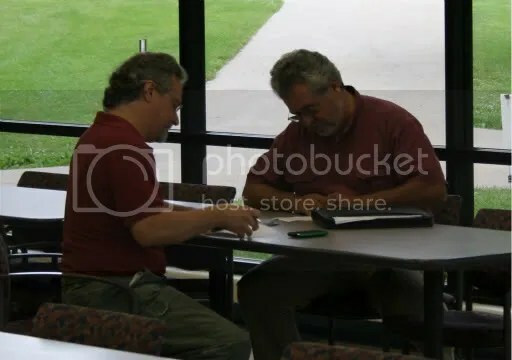 I mean, we look back on this in a few years and we see that we’re attracting students from all over the place, when every student who graduates from this nursing school goes directly to a job, when every pharmacist goes directly to a job, we will have made the, the inter-coupling connection between education and economy as tight as you can do it. And I think this is a great place for Missouri to launch this program and, and I look forward to working with the Chancellor, the nursing school, the pharmacy school, the med school, the dental school and all those to continue to expand this opportunity. While at the same time not forgetting the question you asked, how do we help students not graduate with just a huge load of debt? How, how do we help them from, from getting out of here and having, you know, a hundred thousand dollars they owe, so that the first thing they do with the dollar they make? You know, we made a hard push this year and we got to it, one point to both the House and Senate, my, my Missouri Promise, which would have been a pathway to a four year undergraduate degree debt free. Disappointed it was left out of the education bill. But, best I can tell, the Constitution requires the legislature come back again next year. And I will be there, too. Question: With a lot of this money being [garbled] one time use and with universities and places [garbled] some of the other issues, what’s the reaction as you’ve visited other places with how this program is gonna be realistically. Governor Nixon: Well, first of all, all funding from the state is one time. The legislature meets every year. They do the budget every year. So, I mean, those that’ve said it’s one time, I mean, everything is one time. The legislature could, could, and, you know, could vote not to do a lot of things that they’ve done in the past. I mean, I could, I could, I have a constitutional power to, to limit budgets in, in a way that I think is appropriate. So, what we see this as a building block. We see this as a test, it, and, and if we perform in, in a way that I know this institution and its affiliated health organizations do, I think we will have a very strong case to continue to move, move forward with this, this next year. So, we’ve had a very good response from folks across the state. 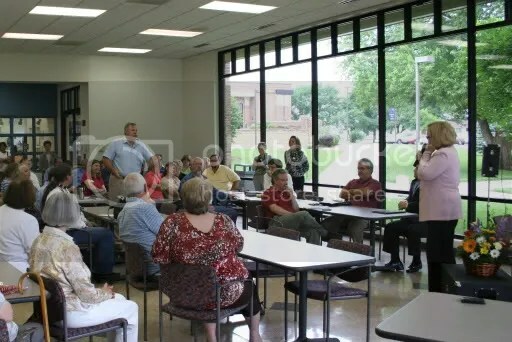 This is one of those rare agreements in which every public four year institution in the State of Missouri and every two year institution, public institution, in the State of Missouri higher education is in the game. And, and we will look forward to developing the metrics that can prove, to these members of the legislature and to the public, that these are dollars well spent., that these are, that this is investment that’s paying off, and when we do I’m confident that we’ll be able to continue the funds. Thank, I, I want to, my last thank you here is not, is not to the press or to the folks in the suits or the Deans or anybody else like that. But my last thank you, real quickly here, is, is to the incredible students that are here in this institution. The one thing that we haven’t talked about here, because it’s a given, that we shouldn’t ever forget, is the quality of the students and the quality of the education here. This is ground zero for the beginning of us moving forward. But that’s not possible without high quality students being committed to a very competitive degree. This is not easy work. Nursing students, pharmacy students, medical students, dental students compete like crazy to get here and once they’re here, compete like crazy to get their degree. This is a very rigorous program. And as Governor of the State of Missouri, I thank you all for setting health care as your career and look forward to having you take care of the citizens of Missouri in the next few years. …Senator McCaskill: Sure, sure…Yes sir. Senator McCaskill: Really, after the election is when it happened. …Senator McCaskill: Well one of the reasons that, and, and I agree that we’ve got to continue to stay focused on the problem of gas prices. That’s why when gas prices go down we have to make sure we don’t lose our political will to get off our dependence on foreign oil. And one of the reasons why gas prices are going back up now is when gas prices were so high, guess what happened? Demand dropped. People started driving less. People started using a smaller car if they had that option when the gas prices were so high. So people started buying less gasoline. And when they bought less gasoline, the price went down. Now, great, gas got a little cheaper and all of a sudden it was okay, let’s go ahead and gas up. I, I just was at the lake over Memorial Day weekend and, and I can tell you that it’s still not back to where it was in terms of those big gas hogs on the lake, but they’re better than they were last fall when the gas prices were so high, in terms of how many people were out there in those big boats. So, I, I think supply and demand had something to do with it, but most importantly, we’ve got. It, our domestic, Exxon, the domestic supply they have? Is this much compared to OPEC with this much. OPEC, we can’t tell OPEC what to do with their oil. They, foreign countries that, frankly a lot of them are not our friends, control the vast majority of the oil supplies in the world. For our national security, and for the, the health of the consumer’s ability to buy gasoline, we need to make sure we continue on our march towards getting out from underneath the dependence of foreign oil. Which is one of the things that was in the stimulus, the funding for the power grid that will allow us to transfer the energy of wind and solar into use in peoples’ homes. Getting of that, the foreign oil. The, the automobile manufacturer’s, for the first time, instead of fighting new fuel standards, agreed with the President about two weeks ago that we’re gonna continue to raise the fuel standards on our automobiles so they are more and more gas efficient. [applause] So, I, I don’t , and by the way, there are some laws that are weird in Missouri. I don’t [garbled] putting pressure on Representative Aull here, but there is actually a law in the State of Missouri that gas stations are not allowed to undercut the actual price of gas they’re selling. In other words they can’t do a loss leader. A gas station, by law, could not say, “You know, I’m gonna knock down my price fifty cents a gallon to get all the customers in here. ‘Cause I’ll sell ’em a lot of chips and coffee and soda.” And all the stuff we shouldn’t be eatin’ if we’re gonna reduce diabetes. [laughter] They can’t do that in Missouri. They actually passed a law to make it illegal for them to undercut the market price in terms of selling gasoline. So, I’ve always thought that was a weird law. And we shouldn’t have ever put that on the books in Missouri. So, that’s one thing that Representative Aull can take a look at, maybe go to work on it. [laughter]…Yes. Question: I’m from a small town in southwest Missouri, four hundred and seventeen people. And I’ve been on the council for about five or six years. And it’s really interesting to hear you talk about big cities and what needs to be done and stuff like that. But with a small community we have problems, too, but we can’t seem to get any of the money at all for like drinking water, things like that, which is very important to us even though we are very small communities. So I was wondering what we can do to get some of this money. I mean, I’m not talkin’ about millions of dollars. I’m just talkin’ about few thousands to help us out. 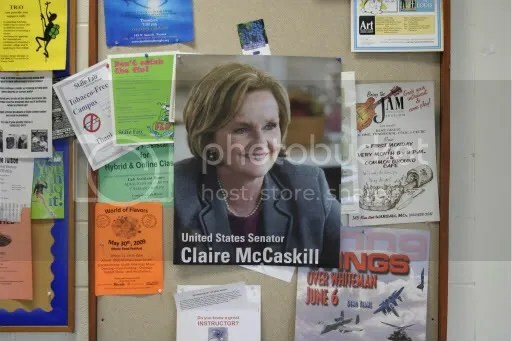 Senator McCaskill: Well I think what, that is exactly, if you look on that map, you’ll [garbled] that. Because there’s money going to all kinds of sizes of communities, very small communities. And I would recommend that you talk to my staff when the meeting’s over, make sure we get your name, so you’re aware of what’s out there. ‘Cause there is help, through the state, through D and R on drinking water projects for those very smallest communities. There is also the regional planning folks, can also help you. They can be helpful with that. And I think there are some things that we can, we can look at, for, in the smallest communities. Question: Yes, and I understand that. I’ve been on the board for about five years and D and R came in and said we needed two water towers, which we definitely agreed. And so you’re talkin’ about a half a million dollar project. And it took us four years to come up with the money. And thank goodness that they helped us through some of that. But, you know, we’re talkin’ about a community that don’t have people hired to work five days a week, forty hours. Senator McCaskill: No, I understand and, and it’s communities like that where we want to try to be helpful, because you can’t hire a lobbyist. mebody to do it for you. And it’s for those small communities we particularly want to reach out to ’cause they don’t have that infrastructure, full-time help to help ’em. Okay? You bet. Glad you came. Question: [garbled] Miss McCaskill, I was curious why you feel compelled to print, spend, and borrow our children’s future away in relation to growing big government? And from the perspective of, that endured throughout the history of man, recessions of all different types of countries have never ever done well with spending in a recessionary period. Senator McCaskill: They raised taxes. [crosstalk] Yeah, but a lot of those countries, that, you know. Econ one-oh-one does say that when an economy is retracting stimulus spending can work as long as you’re not raising taxes. If you’re cutting taxes and doing a shot of stimulus spending, and by the way, it is working. It is working. We already see a, it is much better today than it was six month ago. 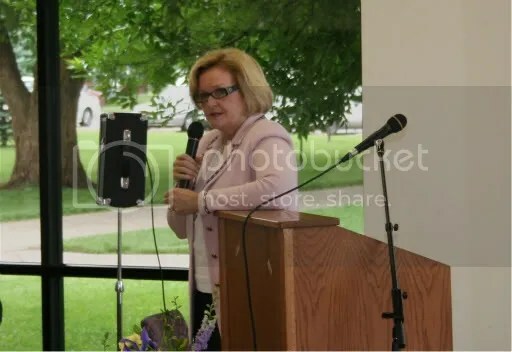 Senator McCaskill: Well, well, let me just say this. I think there are ways that we can be more responsible with spending. I am not somebody who, my auditor background had a lasting impact on the way I view the spending of money. And that’s why I worked so hard to get this contracting subcommittee. Question: We’re talking about seven hundred eighty-seven billion dollars here. Question: That’s more than twice the cost of the Iraq war. Senator McCaskill: Well, here’s the, but forty per cent of that was a tax cut. Senator McCaskill: No, no, tax cut. No. tax cut. We’re happy to get you the information. You know, I understand the, the point of view you have. And I, I respect that you believe the stimulus was the wrong thing to do. I will tell you, that we are, I am hyper focused on our deficit. You know, over the last eight years it was a spending spree. Earmarks, I mean, talk about taking ’em to an art form. I mean, literally. At the height of it, in two thousand and six, they did twenty-seven billion dollars just of earmarks. Question: It’s not just the last eight years. It’s the last one hundred days. Question: Good morning. And thank you for coming. Senator McCaskill: You bet. My pleasure. Senator McCaskill: …not a billion. Question: I just automatically think billion when we’re talking. I’m just wondering if people in Congress grew up the way most of us did. With a balanced budget. And I’m just concerned, is that in the plan to try to balance the budget? I see constantly spending of, of stimulus and all these things that you brought up in your very first statement. That we’re spending so much more and how can we spend so much when it’s end up gonna come out of Mr. and Mrs. citizen. Because it, I understand that you’re talking about tax cuts, but you end up, still, it’s not government money, it’s our money. Question: And so, how in the world do we spend trillions of dollars in a budget and it not come out of our pocket in the long run? So, what is the plan for balancing the budget? 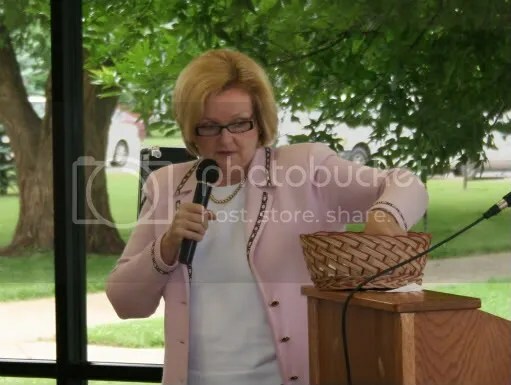 Question: Yes, Congressman McCaskill, I’m…representative to, to the district for the Cherokee Nation. 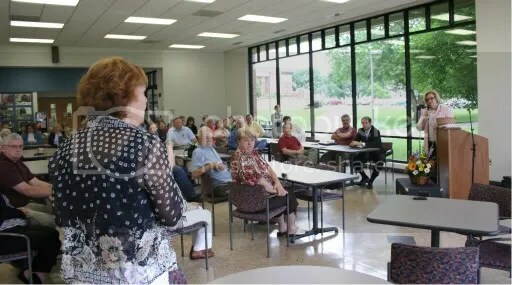 And I want to know what the stimulus package offers for us as the oldest and the smallest minority in the State of Missouri and what you’re gonna do about our better recognition, and what Jay Nixon has done, cutting us out of making a living off of our heritage, off of our arts and crafts. 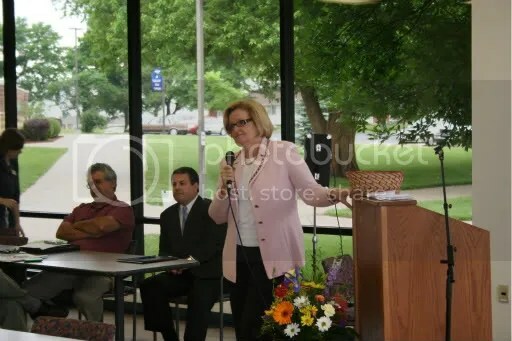 Senator McCaskill: Well I’m not aware of what Jay has done, the Governor has done, in relation to that. But I’m happy, if you will stick around afterwards, make sure we get your, we’ve got your contact information. We’ll contact you directly. I’m not aware of any specific thing in the stimulus as it relates to the Native American community, but I’m happy to look into it. Question: We’ve been fighting for federal recognition since nineteen seventy-eight. What can you do to push for better recognition? w right now, I’m going to be honest with you, I do not know. …Hi. Hi. I love this. Every time we call on a couple they let the women talk. [laughter] What’s up? Uh, I love Sedalia. Yes. Question: I come out of the manufacturing sector. And I’ve been seeing jobs leave this state for twenty years. We need some manufacturing. 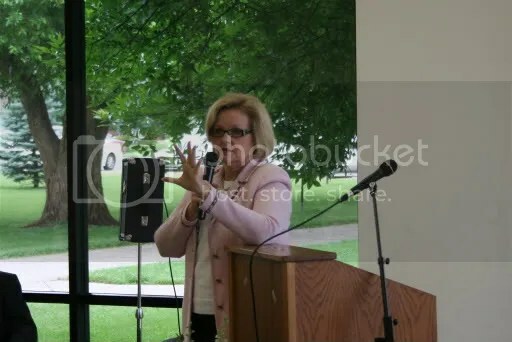 Senator McCaskill: you know, let me just say, one of the hardest things to figure out is when government should stick its big nose in and when government should take its nose out. It’s a hard, hard thing. And let me just give you a good example. I have a very dear friend of mine who is wildly conservative. And he called me on the phone about a month ago and he said, “You know, if you all would stick your big nose somewhere else. Let the free market thrive. Let capitalism reign supreme. Because that’s what built this country. It wasn’t government telling businesses what to do or how to do it, it was somebody with a good idea that worked hard.” Now, I said, “You know…I completely understand what you’re saying.” And then about five sentences later he said to me, “Would you explain to me how you all let this happen?” [laughter] I said to him, “Did you just hear what you said?” You said you needed to stay out of it, but then you wanted to blame government ’cause government let this happen. We unhooked the investment banking world from regulation about twenty-five years ago. We decided commercial banks, they’re all fine in your community, the banks that you know, the banks where you do business, they don’t have a problem. They’ve had government oversight since the depression. Various layers of government oversight. They have state bank examiners, they have federal bank examiners, they have the FDIC. They have all kinds of oversight and they’re all fine. 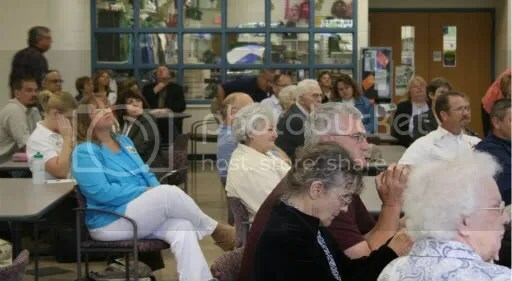 The transcript of the town hall will conclude in a subsequent post. Goodman says his goal is getting 2,010 volunteers for his 2010 Congressional race. Goodman also announced lots of endorsements. Including endorsements by Mike Cunningham (represented by Ike Skelton), Delbert Scott (represented by Ike Skelton), Ed Emery (represented by Ike Skelton), and Maynard Wallace (represented by Jo Ann Emerson). Although unlike many ‘name’ endorsements, I’m pretty sure those four represent parts of the 7th district. 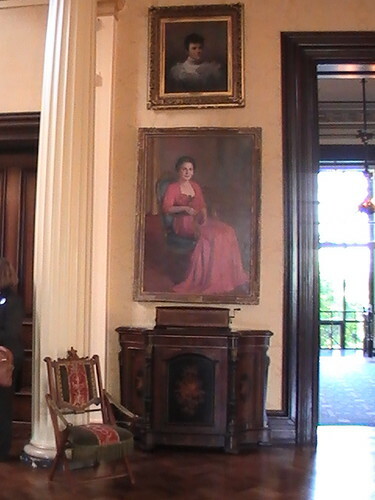 There’s lots of parquet to walk around on in the foyer of the governor’s mansion. 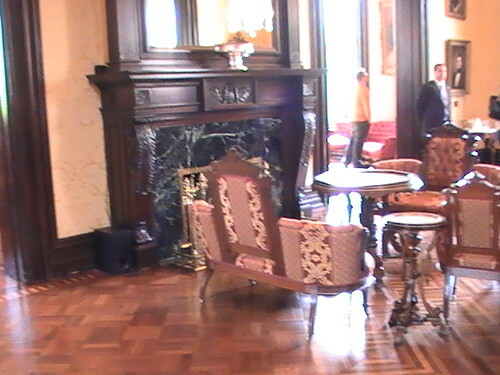 Only this small seating area in front of the fireplace–and the docents–would keep a person from roller skating in here. Opposite the seating area is this … hmm. 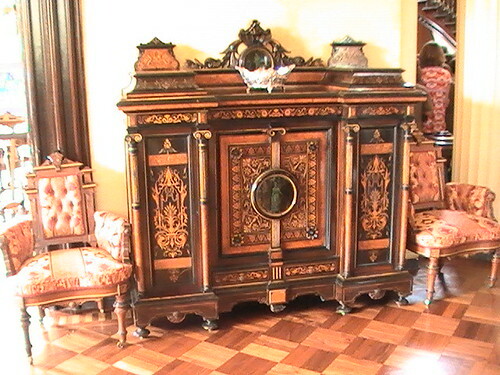 I wonder if they actually store anything in that elegant cabinet. 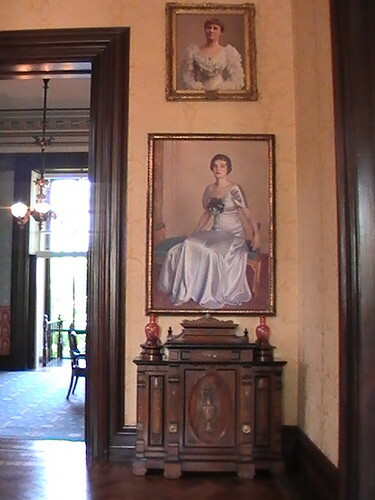 Pictures of first ladies adorn the walls in the foyer and the main parlor. These two photos show the walls on either side of the door into the dining room.